I'm not trying to be a glamazon on the beach by any means, but there are some necessary beauty products for any beach vacation. I don't spend much time in the sun, so my skin is extra sensitive to the intense rays (especially when traveling close to the equator!). I own & use all 10 of these products & couldn't recommend them more. The right skin care products paired with my favorite sun-shielding gear makes for the perfect one-two-punch. Because no one wants to spend their vacation a miserable sunburnt crisp. Soleil Toujours recently sent me a goodie box of their new products & I have been testing them out in preparation for the honeymoon. I not only enjoy the great sun protection their product line provides, but the great smell & high quality ingredients used as well! We all know that sun protection is the foundation of beautiful skin, but we don't always remember to practice safe-sun. Soleil Toujours makes skin protection luxurious & easy - a daily indulgence rather than a daily chore. I'll be taking my favorites from their product lineup with me to Antigua - Soleil Toujours for daily protection, Soleil Luxe for post-sun care, & Soleil Du Midi for intense sun exposure. 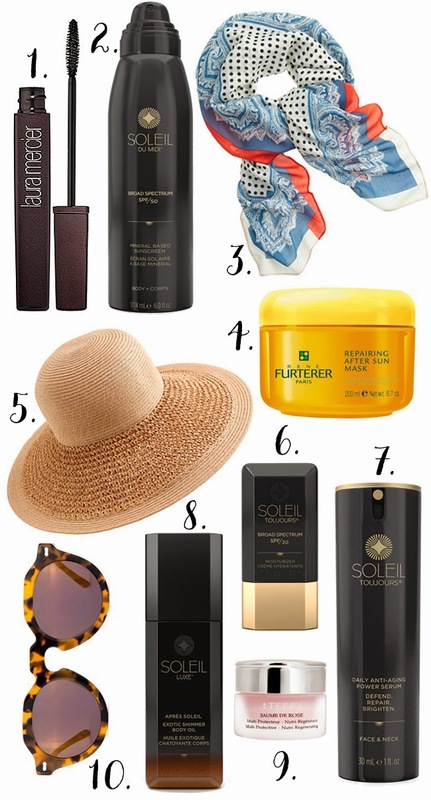 What is your must have sun protection product? This post is sponsored by BrandBacker & Soleil Toujours, but all opinions/reviews are my own.